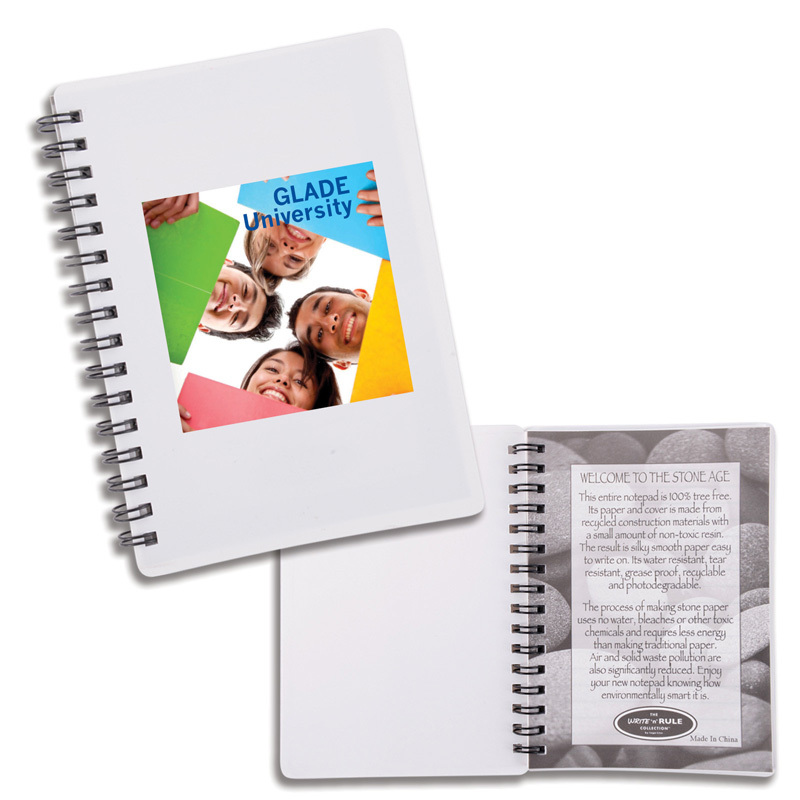 Stone paper cover with 80 sheets of side spiral bound lined stone paper with perforations. 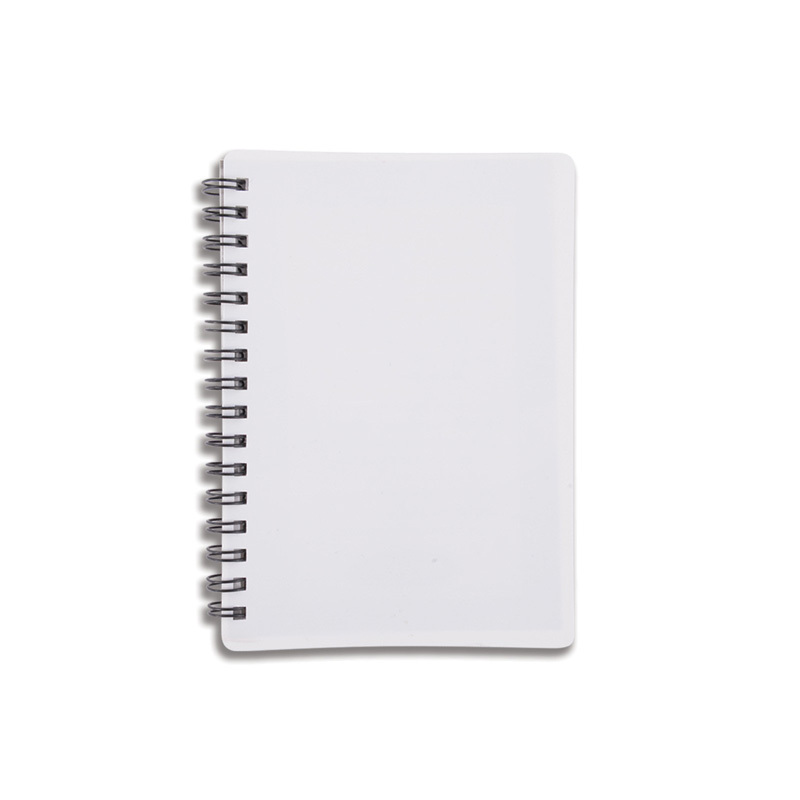 Due to stone paper pages have a smoother surface than traditional notebook paper. This products can be printed as full colour digital print, please add $ 1.30 per product to prices calculated.